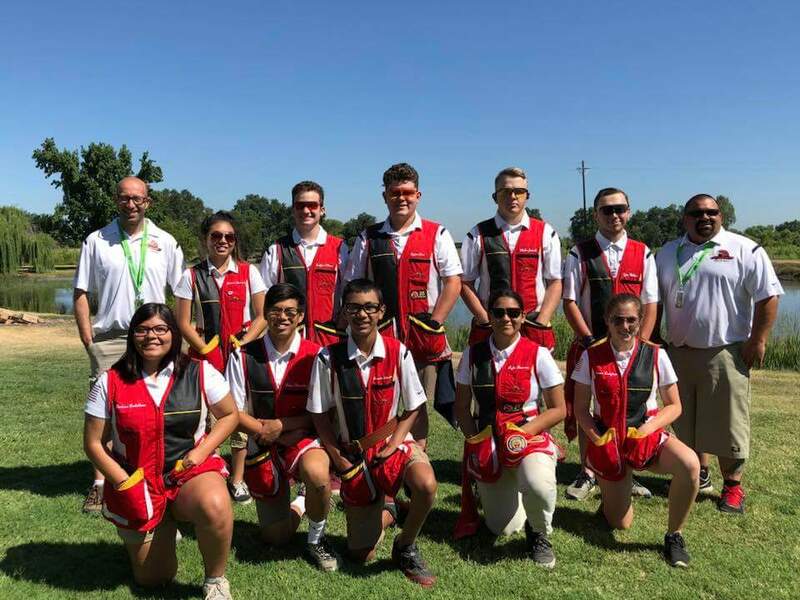 Last month at the San Diego Chapter of Safari Club International fundraiser, the Mountain Empire Marksmanship Team volunteered their time to help make the event a success. We THANK them for their help! The following comes from Paul Jimenez, an SCI member and involved with the Mountain Empire Marksmanship Team as a Coach and Parent. “Some of the kids come from families who hunt, however several had no, or a negative opinion of SCI prior to the event. However, some of the kids on the team, as well as those that volunteered that day were not hunters and their belief was that SCI was a bunch of rich people who like killing elephants and giraffes. The kids are influenced heavily by social media and many school teachers who see and give their opinions based on the emotion and what they see on TV. Following the auction, they were asked how they felt about what they saw at the event they had volunteered for, and they were all very proud to have supported the SCI event. They got to witness first hand what the San Diego SCI represents and saw just a small glimpse into the good the SCI does for the animals as well as the environment. 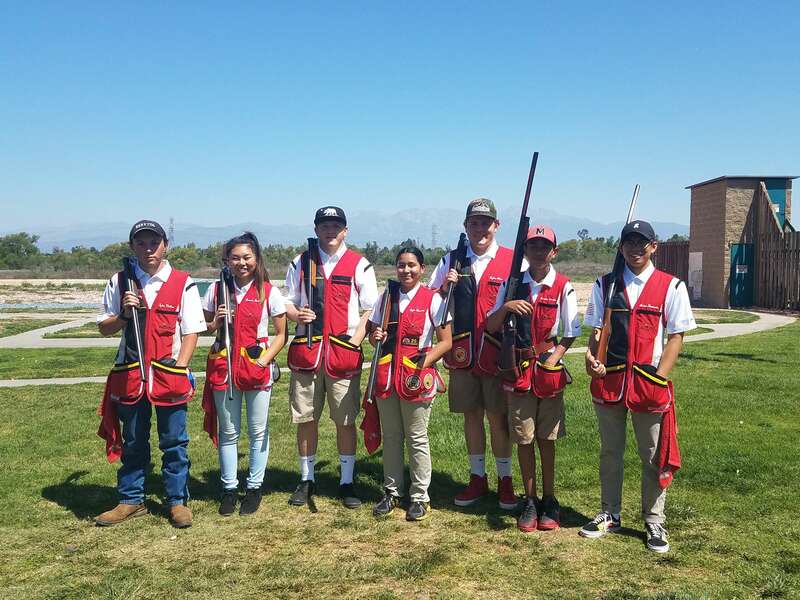 Mountain Empire High Schools marksmanship (est 2012) team’s purpose is to teach firearm safety, leadership skills, and discipline. 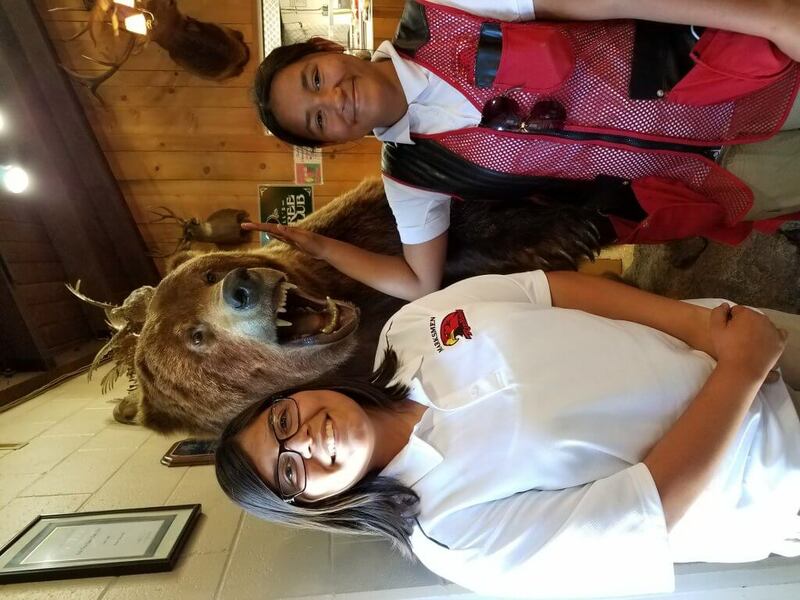 Students must maintain excellent citizenship on and off the range, whether it is inside or outside a classroom. Our goals are to prepare students athletes to engage society with duty, honor, and service. As a teacher in a high school, this program has allowed me to work with the highest achieving students, and it has been my honor to watch them leave the program and have productive and meaningful lives. Coaching kids to shoot competitively is only a small part of what we do. We require outstanding citizenship in school and a 3.0 GPA minimum. We are helping shape these youth into professionals. We make sure to give back to our community through volunteering for several events each year ranging from the SCI to veterans charities. They learn safe firearm handling, they become hunters (or better hunters) or just enjoy the shooting sport, they see the political environment and they know they can impact and it’s their responsibility. They are the future and these kids know that what they read or hear on social media/news is not always truthful. They see the effects of restrictive laws and how they are directly impacted. In a few years, they will join the voting population and I feel like if we do anything at all, at very minimum at least have these youth educated about the 2nd amendment! My goal has always been to get the team competitive shooting. Aside from that it is to always have the range ask us back; that our team was professional and represented to the best of their abilities the type of people ranges wanted at their facilities. It amazes me every time when I see adult shooters come over and praise the kids and encourage them. When they turn to the parents and say good job moms and dads! It also amazes me that ranges don’t have multiple resources to attract more youth shooters. This is their future customer base; they are their businesses longevity on so many levels! The MEHS Shooting Team has gotten me where I am today. It was such a wonderful opportunity to have as a high school sport with dedicated coaches who truly care about the athletes. 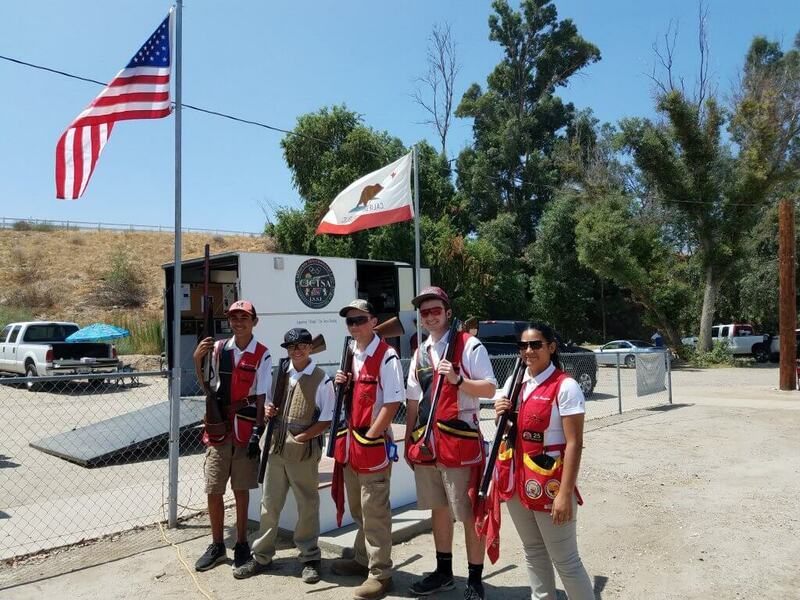 Paul Jimenez and Ryan Holmes do so much with their time given to make sure these kids have the skills necessary to become professional marksmen and women. I still get asked even today where I picked up some of my tips from and I am so proud to recall my high school shooting days with my well-structured team. The Mountain Empire Marksmanship team has opened up many opportunities for me that I hope to take advantage of. I like marksmanship because it makes me a better shooter. It’s a challenging sport. Marksmanship helps me build friendships with my team mates and people that I meet at competitions. I would like to work towards getting a scholarship and become a really great shooter and try for the Olympics. Another thing I’m really looking forward to is getting my hunter safety so I can hunt with my family. I love to shoot. I am 15 years old and currently been in marksmanship for only 6 months. In these 6 months I have learned that not only is marksmanship sport, but a way of life. It’s not only about shooting shotguns even though it consists of that. This sport teaches patience, safety, focus, and technique. Marksmanship has also taught me to set goals, not only for the sport, but in everyday life. When I first joined marksmanship I was told to set goals and goals within goals. Short term goals that lead up to one main goal. My main goal is to shoot 25 straight almost every time I walk out onto the field. I have not yet completed that goal. Although, when I first started I completed my goal of 10 straight. I then set a goal of 15. I have recently accomplished that goal, and am now aiming for 20. Other than my shooting goals I have made myself the goal of completing my hunter’s safety. I would like to then get my hunting license and use the skills I have picked up in marksmanship to hunt with my family and friends regularly. Scratch the goal of 20, I just hit 21! With money being tight now days, I have made my ultimate goal to earn a scholarship so I can attend a good college.